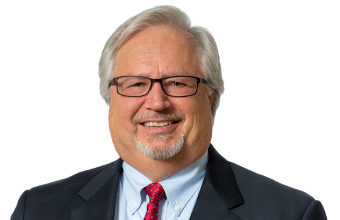 Gerald Hilsher is a veteran trial attorney with experience in numerous substantive areas of the law. Currently, his practice is primarily trial and appellate work in complex commercial litigation, breach of asset purchase agreements and other contracts, intentional interference with contracts and other business torts, environmental litigation (civil, criminal, and administrative), and select white collar criminal defense, including Medicaid/Medicare fraud, bank fraud, conspiracy, and violations of the False Claims Act. His experience includes representation of plaintiffs and defendants, large and small companies, and individuals as clients. He tries cases in state court, federal court and before administrative agencies and has successfully argued significant appellate matters of interest before the Oklahoma Court of Civil Appeals, Oklahoma Court of Criminal Appeals, Oklahoma Supreme Court, and U.S. Court of Appeals for the Tenth Circuit. Gerald is also licensed to practice in the state courts of Texas, federal district courts for the Southern, Western and EasternDistricts of Texas, and the Fifth Circuit Court of Appeals. His achievements have earned him inclusion in The Best Lawyers in America (appellate practice; commercial litigation; environmental litigation; real estate litigation) and Oklahoma Super Lawyers, where he has been named to its list of “Top 50 Oklahoma Lawyers.” In 2011, he was named to The Journal Record’s list of Leadership in Law Award honorees. Early in his career, Gerald was a criminal prosecutor, first as an Assistant District Attorney in Austin, Texas, and then as an Assistant United States Attorney in charge of the Organized Crime Drug Enforcement Task Force in Tulsa, Oklahoma. He also served as Deputy Assistant Secretary for Law Enforcement at the U.S. Treasury Department during the Reagan administration where his responsibilities included the administration of the Bank Secrecy Act regulations and other anti-money laundering initiatives of the federal government, and departmental oversight of U.S. Customs, U.S. Secret Service, the Bureau of Alcohol, Tobacco & Firearms, and the Federal Law Enforcement Training Center. This law enforcement experience provides Gerald with a unique perspective in responding to government inquiries and investigations including grand jury investigations and qui tam proceedings. His practice today includes select white collar criminal defense work (both trial and appellate), including environmental crimes, Medicaid/Medicare fraud, bank and wire fraud, and alleged civil and criminal violations of the False Claims Act. Gerald has also assisted companies experiencing embezzlement by employees with referrals to law enforcement authorities and representation for payment of restitution. In addition to his litigation practice, Gerald is also an experienced mediator. 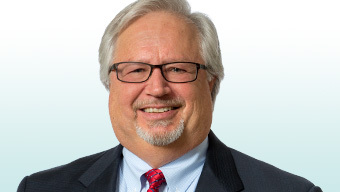 He has been a member of both the Commercial Mediation Panel and Commercial Arbitration Panel of the American Arbitration Association and has served as an adjunct settlement judge for the U.S District Court for the Northern District of Oklahoma since 1992 and for Tulsa County’s Early Settlement Program since 2009. He has also previously served as a temporary judge on the Oklahoma Court of Appeals (attorney-staffed panels) and as a Special Master in federal court reviewing documents seized pursuant to search warrant for attorney-client privilege. Gerald’s professional interest in environmental law and water law began in 1997 when he was appointed to the Governor’s Animal Waste and Water Quality Protection Task Force. In 1998, he was a gubernatorial appointee to the Oklahoma Scenic Rivers Commission, having been first appointed by Governor Frank Keating and re-appointed by Governors Brad Henry and Mary Fallin. In his 18 years of service to the OSRC, he was elected chairman of the commission four times and served as vice chairman another four years. In 2018, he was inducted into the Save the Illinois River Hall of Fame for his work on the commission. Gerald is a member and past chair of the Oklahoma Bar Association’s Environmental Law Section, an author of the Oklahoma Environmental Law Handbook chapters on criminal enforcement and civil liability of officers and directors, and a frequent lecturer at environmental seminars. He currently serves on the OBA’s Professional Responsibility Tribunal, which is responsible for hearing bar disciplinary and reinstatement proceedings and making reports to the Oklahoma Supreme Court. He also has been active in the Tulsa County Bar Association, serving as a delegate to the Oklahoma Bar Association and having served several years on the board of directors and as chair of the TCBA Professionalism Committee. He is the 2018 recipient of the Oklahoma Bar Association’s John E. Shipp Award for Ethics and the 2006 recipient of the Tulsa County Bar Association’s Neil E. Bogan Professionalism Award. Gerald is a member of the American Bar Association, Oklahoma Bar Association, and the State Bar of Texas. Obtained favorable confidential settlement for plaintiff husband and wife against financial planning consultants and tax accounting professionals for malpractice in placing plaintiffs into short-lived, unfavorable tax shelter strategy. Obtained summary judgment dismissal of third party malpractice and indemnity claims brought by CPA firm against company accountant accused of malpractice by owners. Secured favorable settlement for company accountant for claims raised by owner/employer. Secured defense verdict, reliance damages on counterclaim, and attorneys’ fees on behalf of a retail merchant accused of breach of contract in a commercial lease dispute after non-jury trial. Oklahoma Court of Civil Appeals affirmed the judgment and awarded additional damages, plus appeal-related attorneys’ fees. Obtained confidential settlement as lead attorney on behalf of individual plaintiff alleging co-authorship and joint ownership in copyrightable computer software and for breach of fiduciary duties and other business torts arising from unfulfilled promises to share proceeds of sale of controlling interest in computer software company. Brought claims for a publicly traded oil and gas exploration company against oil and gas service company for fraudulent invoicing and for discharge of liens filed in violation of a lien waiver provision in the parties’ master service agreement. Obtained summary judgment in the Southern District of Texas not only discharging oil and gas liens, but also for fraud. The court’s ruling invalidated more than $4 million of liens on the company’s properties and netted an affirmative judgment in favor of the oil and gas company for $3.4 million in actual damages and an additional punitive damage award of $1.75 million. Brought suit for breach of environmental warranties and representations contained in asset purchase agreement on behalf of buyer and obtained confidential settlement of litigation concerning the purchase of a transfer, storage and disposal facility (TSDF) and water treatment plant. Obtained dismissal at pleading stage in Department of Environmental Quality administrative law proceeding of citizen group challenges to proposed hazardous waste treatment and storage permits for cement manufacturing facility allowing use of hazardous waste-derived fuel in cement kilns. Served as coordinating counsel and lead negotiator for 44-member group of potentially responsible party (PRPs) in CERCLA (Superfund) action in Oklahoma City, Oklahoma, including an appeal before the Tenth Circuit Court of Appeals. Obtained a confidential settlement on the courthouse steps for plaintiff’s group comprised of 40 riparian (creekside) landowners in an environmental nuisance action against a poultry-processing / protein-rendering plant. Concluded Oklahoma DEQ Brownsfields Voluntary Redevelopment project for Claremore Regional Hospital’s Medical Office Building. This project remediated a former municipal landfill to allow for construction of a medical office building and parking facilities. An interesting feature of the remediation plan was the use of a methane monitoring and mitigation system for the building. Obtained declaratory judgment, affirmed on appeal, that struck regulations promulgated by the Oklahoma Wildlife Department with regard to the “fish introduction rule” allowing stocking of non-native, predator fish species (e.g., trout) in Oklahoma streams. The regulations were determined to be invalid due to the administrative agency’s failure to meet substantial compliance with the public comment requirements of the Administrative Procedures Act. (A big win for native fish species, including small mouth bass, the plains top minnow, and the Arkansas darter). Obtained dismissal prior to trial of 14-count criminal Information alleging Medicaid fraud violations and related criminal conduct, including conspiracy, continuing pattern of criminal misconduct, and use of a computer to commit a crime. Following briefing and oral argument, the state district court granted our motion to dismiss for insufficient evidence, thus overruling the preliminary hearing judge’s felony bind over order. The state decided not to appeal the dismissal. Obtained withdrawal of $1 million Medicaid audit penalty against licensed professional counselor on appeal to administrative law judge through aggressive pursuit of discovery aimed at believed audit sampling infirmities and possible corruption of the process. Represented prime environmental contractor in defending against a $1.5 million False Claims Act demand brought by U.S. Attorney on behalf of the Drug Enforcement Administration (DEA) for return of monies paid on meth-lab clean-up contracts that were allegedly not completed in full compliance with the government contract. The claim was settled for a “walk away” (i.e., no money changing hands) prior to the suit being filed, due to threat of contractor’s bad faith counterclaim and client’s exacting record of communications with agency throughout contractual relationship. Obtained dismissal of administrative action brought by the Federal Aviation Administration to revoke aerospace industry client’s license/certification as an FAA-approved repair station and succeeding criminal investigation. Successfully appealed a federal sentence in which the district court denied consideration of extraordinary substance abuse rehabilitation efforts under the U.S. Sentencing Guidelines. In making its decision, the U.S. Court of Appeals for the Tenth Circuit overruled United States v. Ziegler, opening up an avenue for more judicial discretion in federal sentencing decisions. Oops! My client had a spill – what do I do now? !